Getting injured in a car accident can be a traumatic experience that turns your life upside down. Many people aren’t aware of their rights or understand how to get the compensation they need to cover their property damages and medical expenses. If you attempt to reach a settlement for the insurance claim without legal representation, you will be at a severe disadvantage while trying to negotiate with the insurance adjuster or general counsel of the insurer. An Oakland auto accident attorney knows how to build a strong claim on your behalf and will aggressively fight for the benefits you deserve. If you are in a traffic accident, call the police to file a report and get medical attention. When the police arrive at the scene of the accident, they will collect insurance information from all of the drivers and document any property damage or injuries. You should also receive medical care, because even though you may not immediately feel any pain, you could have sustained internal injuries or other health complications as a result of the collision. Being examined by a medical professional will reduce the risk of any potential injuries becoming worse. Don’t provide a written or oral statement about the accident to the insurance company until you consult an Oakland auto accident attorney. Any information you provide to the insurance company could be used to invalidate your claim or dispute the extent of the damages. 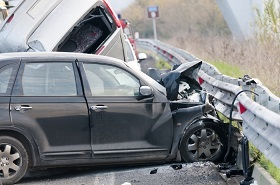 Direct communication with the insurance company should be handled by the Oakland auto accident attorney. Talk to your lawyer if you need any updates or information regarding the status of the case. When another party’s negligence is responsible for the accident, they may be held liable for your damages. It’s possible to receive compensation for medical expenses, lost wages, property damage, pain and suffering and other costs related to the accident through an insurance claim. Keeping a record of your medical condition, doctors’ appointments, and healthcare bills helps the Oakland auto accident lawyer accurately calculate your financial losses. If you were involved in a car accident or suffered a personal injury, contact The Orr Firm for legal assistance. An experienced Oakland auto accident attorney will evaluate your case and help you decide the best course of action to take. Contact us at 510-985-4600 to schedule a consultation. Lowballing: A Personal Injury Lawyer in Oakland Explains How It WorksFew things please an insurance adjuster more than a chance t.. Determining Whether a Case Has an Issue With a Search and SeizureObjective of the Defense When an Oakland criminal defense at..